Wow, January has flown right by! We’re already 1/12 of the way through 2015, people! HOW DID THIS HAPPEN?? 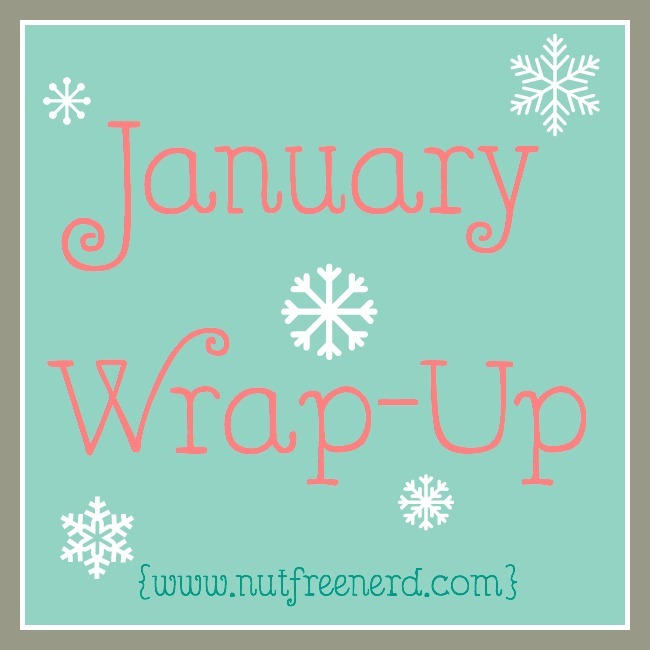 Monthly wrap-ups are something I’ve been contemplating doing for a while, and I figured that there’s no better time than a brand new year to start something up. I’ll be talking about books, my personal life, and things about this little blog of mine. I’m really pleased with this number, especially since January turned out to be a much more eventful month than I initially expected. So far the only review posted is the first one (click on it to be taken to the review!) but the rest are already scheduled for February, so stay tuned! My favorite book this month was definitely Life After Life by Kate Atkinson- it’s clever, brilliant, fascinating, and so different from other books. If you’re a fan of mysteries or historical fiction, definitely check it out. I survived my midterm exams!!! HALLELUJAH! They were really stressful (particularly my AP Calculus class) but it feels so good to know that they’re finally over. I wrote a post earlier this month about why midterm exams drive me crazy- click here to check it out! January was a big month for me in regard to college applications because I heard back from some of my favorite colleges! I still don’t know where I’m going to end up going yet because I have to hear back from a few more, but I know that I’m going to have a really difficult decision to make in the coming months! I’ve been thinking of new ideas for blog posts lately, but I’ve noticed that doing weekly memes is sort of getting in the way of finding time to post them. To try and remedy this situation, I’ve decided that I’m only going to do my WWW Wednesday updates every other week instead of every Wednesday. Another reason for doing this is that I feel like I’m saying the same things over and over again every week- whenever I don’t finish a book in a week, the post ends up being almost exactly the same as the week before it! I have some fun ideas for posts that I’ll be posting instead, so be on the lookout for those! How was January for you? What books did you read? Did anything exciting happen? Let me know all about it in the comments section below! My name is MaryAnne and I apologize for the random nature of this comment, but I’m working on a new docu-series about high school students who go all out with creating one of a kind Promposals. I know this message is very vague, but I would love to discuss this opportunity with you further and see if this is something you’d be interested in, or perhaps you have a follower who is planning a high school Promposal. Please feel free to contact me at casttheprom@gmail.com fore more info. Thank you and I hope to be in touch soon! I read quite a few books this January (five too, high five!) and got a small job helping teach little kids how to read Arabic. It’s brilliant. But still, can’t believe already a month into the year and February is no doubt going to be pretty short so yes, there’s that. It just feels like time is running out slightly. Gah. I still haven’t read Gone Girl 😀 A while back I decided to stop doing all the common memes because they just weren’t sustaining my interest like they used to. I guess as we blog we keep evolving our own style. Thanks! 🙂 Yeah lately I’ve been feeling like memes are sort of preventing me from writing about stuff that is more exciting and interesting to me, so I finally decided that enough is enough! It’s weird how much we change, huh? (But awesome at the same time! ) 🙂 Thanks for commenting! I just finished the book, Gone Girl. It was such a great read! I wish I had time to read! I’m spending so much time to read for school that I don’t even want to see a book when I’m done! Woo! Yay for midterms! Great books selections…though I wonder why you liked Catcher in the Rye,had to read that for school and dreaded it 😛 Did you see the movie for Gone Girl as well? Would love a Gone Girl book review,I wonder what you thought of the twist!